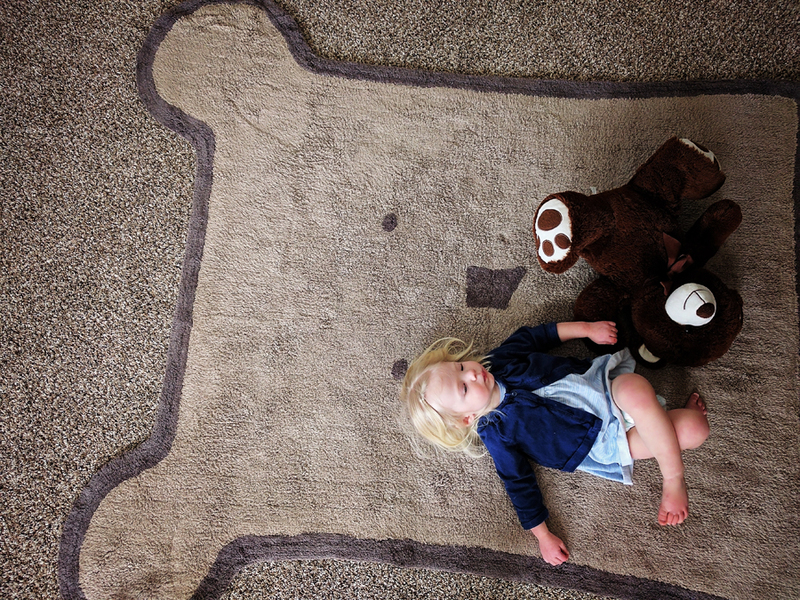 A Washable Rug that is Beautiful for the Home and Durable for the Little Ones! Lorena Canals Sent me this beautiful rug for me to review! I loved this product from the moment it arrived on my doorstep. I found Lorena Canals Rugs on Instagram. I read that the rugs by their brand were totally washable and I thought the idea was genius. As mentioned previously on my Instagram account, I am not good about doing laundry. Somehow I just always seem to mess it up so I wanted to give these rugs a shot and I have to say that I’m very glad to have done this review. When the rug arrived, it came in a really cool package. It was sitting outside of my door one morning which was a delightful surprise. 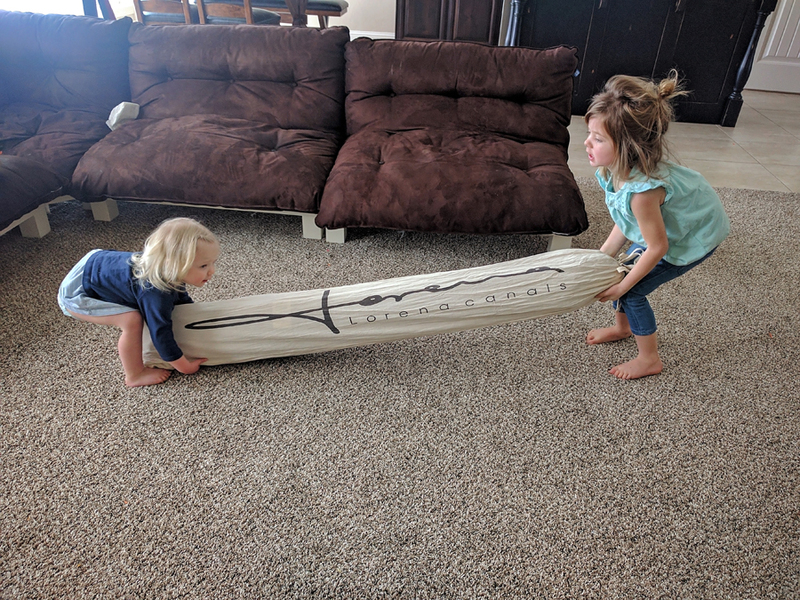 As you can see in the image above, my kids were able to pick it up so it shows that the rug is very light weight. Let me be clear, this rug is of high quality and isn’t cheap in any way. When we unrolled our new rug, the kids squealed with excitement. The natural color scheme and adorable design is perfect for our home. The moment I saw this rug, I knew right where it would go. Our children love to lay on the floor and look up at the TV. (Despite the fact that we have a really great child-friendly couch.) I envisioned this rug in the place where they lay from the second I placed my order. 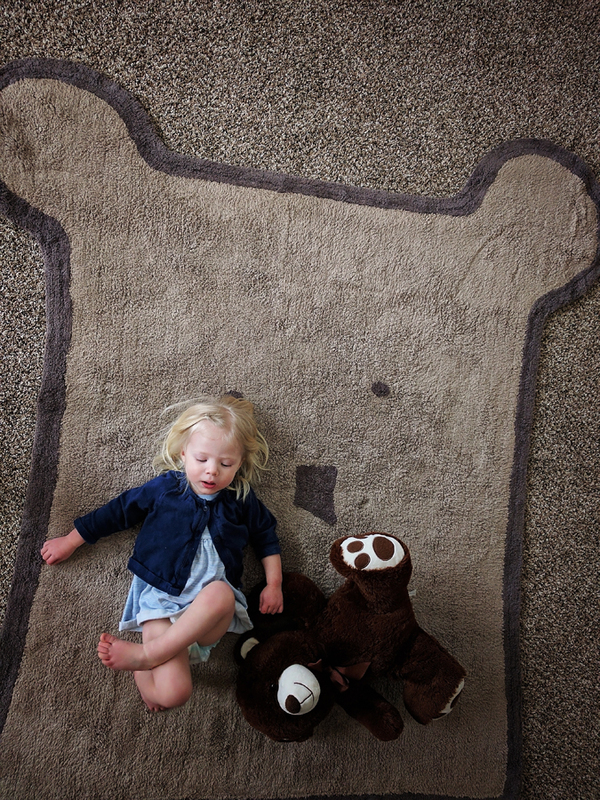 This Bear Rug is soft and looks great in any light. This rug is machine washable and will fit into any standard sized washer and dryer! We received this package from Lorena Canals right around the time we began potty training. So, soon after receiving it we had an accident. Normally, I’d freak out and start shopping for yet another rug. However, I knew that I could put this one in the washing machine and we would be all good from there. That was exactly the case, I put it in the washer and then I let it air dry once it was finished. Overall, I think this and the other Rugs available at Lorena Canals are a great addition to any home. They have contemporary designs for adults and designs for sophisticated kids like the one shown in our photos! Here is the rug going into the washing machine! 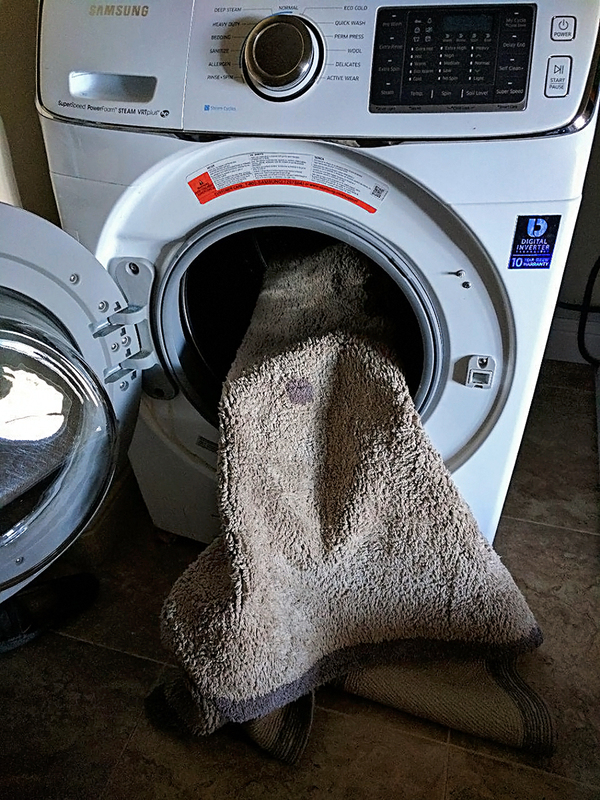 I think most people would have thought I was crazy for doing this but when it came out, it was as good as new with no signs of wear or issue with being washed! Hi! 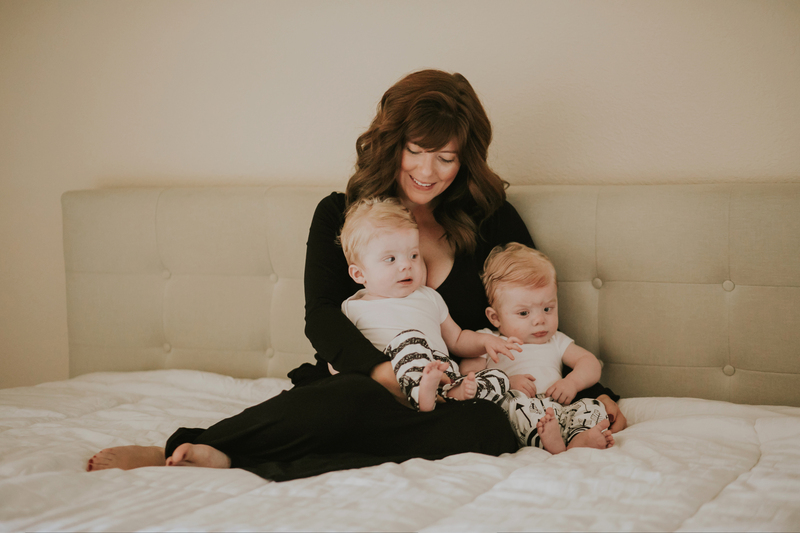 Thank you for reading my blog posts, I’m a mother of five with twin boys set to arrive very soon! My days as a photographer began in Southern California where my friends and I had walls full of photos printed from our adventures. I currently shoot with a Canon 5D Mark IV but for the last 5 years I have used a Canon 70D Crop Sensor DSLR because it’s the person who makes a good photographer, not the equipment. I strive to document life as it is, to #sustainchildhood is my ultimate goal for you and for me. If you’ve found my article interesting or helpful, please consider sharing this page and using the hashtag #sustainchildhood so that I can see your work!